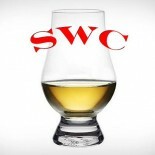 It is not without a sense of delicious irony that our selection today was volunteered by the one member of SWC who enjoys Irish whiskey the least. But where this story becomes less amusing is when this said member found himself at the Irish Beer and Whiskey Festival in, of course, Ireland, and speaking one on one with, of course he was, Stephen Teeling of the Teeling Whiskey Company. Bloody hell, Brendan. And upon sensing that the intrepid member of the SWC in front of him possessed an above average enthusiasm for whiskey, Stephen pulled out a bottle of Teeling Vintage Reserve Silver 21 Year Old Irish whiskey for a quick pour and maybe a story or two. But all was forgiven when Brendan purchased a bottle and carried it home to Spokane for SWC’s review. I suppose if there is any bottle to convert this poor, Scotch loving fellow to Irish whiskey, I think he found it. 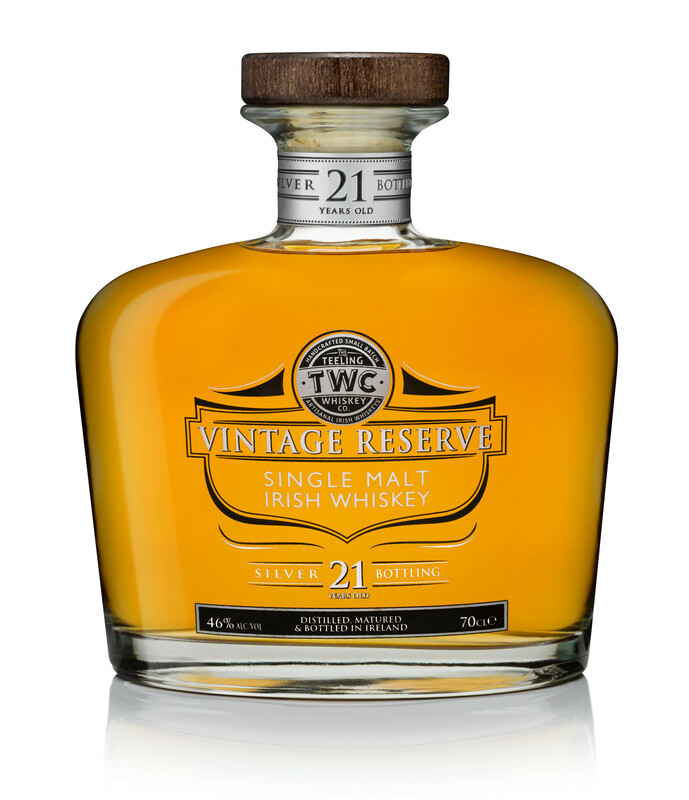 Teeling Vintage Reserve Silver is a 21 year old single malt sourced from what is most likely Cooley Distillery. The majority of this whiskey’s life was in ex-bourbon casks, and then finished in ex-Sauternes white wine casks from the Bordeaux region in France. This 1991 vintage, chosen by Jack Teeling (of the two Teelings he is the Nose), was bottled into 5,000 units at 46% ABV and will be followed by older bottled expressions. These super premium bottlings will keep the lights on while new spirit is distilled and aged in a new Dublin distillery converted from the former Dundalk brewery owned by Diageo. This three copper pot still operation will be Dublin’s first in over 125 years, and if the two Irishmen at the helm have anything to say about it, Irish whiskey will have an even stronger foundation to build upon as we skip through this wonderful golden age of whiskey we find ourselves in for 2015. Nose- Sophisticated and interesting. Wet moss, rose petals, candied orange. Light, fresh fruit everywhere. Musty vanilla, cherry, and is that peat we detect? In time fruit gets fuller, bigger. Nice work. Taste- Honey, sugary citrus, fresh flowers and fruit. Oily, viscous mouth feel. Full bodied and luscious. Light tobacco. The highlight. Finish- Explosion of flavor. White wine, citrus, a pleasing bitterness from oak. That darn smoke again. Full and never ending. Comments – Wonderful whiskey to enjoy and a great selection by the Teelings. Not just a beautiful single malt with the Sauternes finishing, but this is an extraordinary Irish whiskey, and that’s the best compliment we can think of at the moment. 95! Wow. One of the best.